Andreas M. Antonopoulos gave this thought-provoking presentation at the Special Edition of Bitcoin Wednesday held at the Eye Film Museum in Amsterdam on 19 October, 2016. Mr. Antonopoulos, who is half-Greek, half-British, first became fascinated by information technology as a young child in Greece. He later went to the University College of London where he earned a degree in Computer Science, Data Communications and Distributed Systems. During his university years he was inspired by the pioneering work of David Chaum on DigiCash and the crypto wars of the early 90s, when the U.S. government fought to restrict the world’s access to cryptography. Mr. Antonopoulos later co-founded and managed a technology research company in the U.S. where he consulted for Fortune 500 companies and published more than 200 articles on security, cloud computing and data centers. Since then he has helped launch a number of Bitcoin-related startups and initiated several projects for the open source community. In 2014 he was asked to become a teaching fellow with the University of Nicosia, the first university in the world to offer a Masters Degree in Digital Currency. 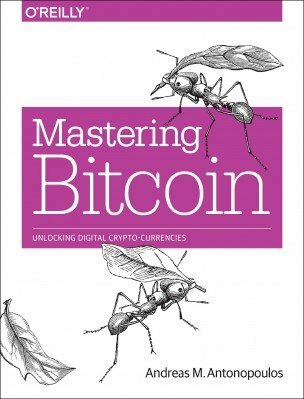 He also has two patents in networking and security and authored the book “Mastering Bitcoin” published by O’Reilly that Balaji Srinivasan of Andreesen Horowitz called “the best technical reference available on bitcoin today.” Another book published in September 2016 called “The Internet of Money” aims to explain why Bitcoin matters. He is internationally recognized for his ability to make complex technical subjects understandable, a skill which has earned him hundreds of invitations to speak for conferences, talk shows and board rooms around the world. His presentation to Canada’s Senate Committee on Banking, Trade and Commerce is universally acclaimed for its accuracy and clarity.